We use an advanced 3D design system which allows you to view what your room will look like after it is finished. This is a great way to experiment with different designs, make alterations, and highlight stylistic elements. We want to assure our customers are satisfied with the outcome, so our 3D system is a helpful guide throughout the process. 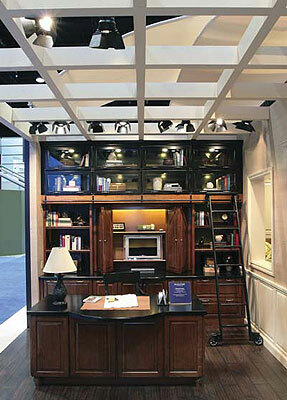 Our talented crew of designers will also be able to offer suggestions regarding additional storage solutions. With a picture of your final product before us, we can also accurately assess an estimate of cost ahead of time. With our practical and efficient software, there will be no big surprises, just big home improvements. The benefits of this 3D system are multifaceted and at your fingertips… so are your remodeling options! Come down to the Kitchens By Hastings showroom in Saugus, Ma. 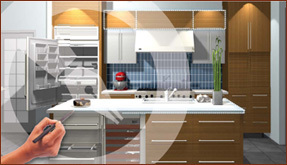 and see your kitchen and home remodeling ideas virtually come to life!